Some say there is no sound quite like a 12-string. There is a certain truth in that, they have a very distinctive sound and create a certain ambiance that other guitars cannot create. Of course, they are somewhat limited in their application. And, they certainly do not suit every style of music or indeed every individual song within those genres. If we are talking acoustic guitars then we are going to have to consider Martin. Renowned at making guitars that just sound great, this model is no exception. The D12X1AE is crafted in the Dreadnought style and is an acoustic-electric with a body that has no cutaway. 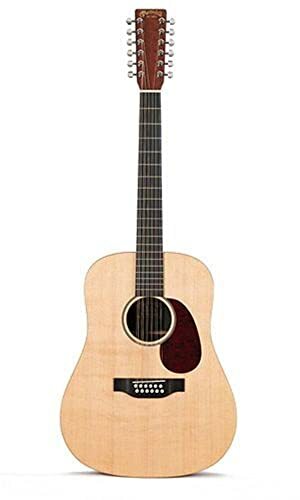 It has a mahogany laminate body with a Sitka spruce top in a matt finish, a combination that gives a warm rich sound. What you need from a 12-string guitar is clarity and a tone that sings out. This guitar certainly does that. The sound is bright but with a resonant bottom end that is quite loud even when not amplified. The treble strings – ringing clearly without overpowering the overall sound. It plays beautifully with its low profile neck with a standard taper giving a great action that is comfortable to play and with no fret buzz. Martin guitars do have a certain feel to them and this instrument has great playability. Fishman electronics deliver a good amplified sound with nice warm tones that ensure the Martin sound is very evident. There is a tone and volume slider control to help you adjust the sound to your liking situated next to the jack socket. 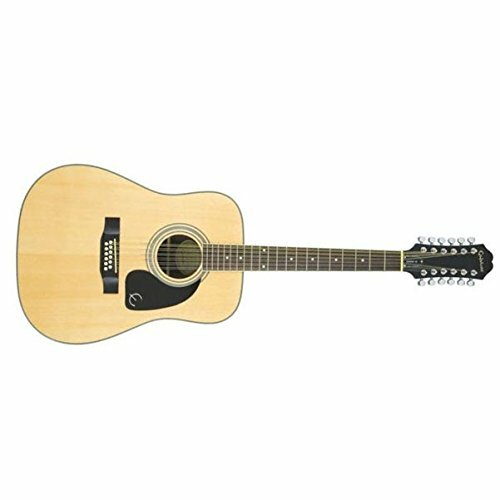 The tuning machinery is precise which is an important factor and chrome plated to give a nice finish, When you are looking for quality Martin guitars do not disappoint and this instrument is no exception. Well made with a great sound it is a classic 12-string. No case or bag is included. Well made using quality materials. 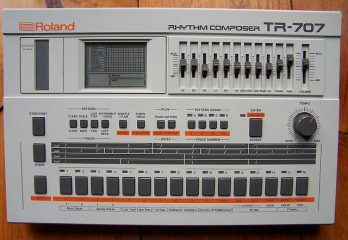 Nice sound full of resonance and body. The tone and volume controls are rather basic. Another guitar manufacturer with a name synonymous with quality, Takamine produce great guitars at affordable prices. 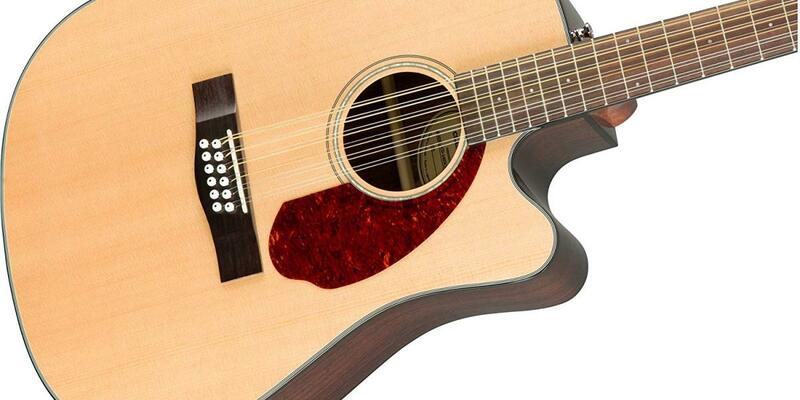 This 12-string offering, the GJ72CE is a big guitar in many ways. With its jumbo style body and huge sound, it gives you all the sound and volume you might expect. The sound just projects straight out of it with that classic 12-string feel. The guitars tone has a beautiful depth and deep resonance and the highs are sparkling. The guitar just sings at you. As 12-strings go the sound is very bright and really cuts through, which is so important to the overall sound you want to hear. Aesthetically it is a beautiful looking instrument with its solid spruce top, maple body and rosewood headstock and demands attention before you’ve struck a note. It is extremely well made and has a solid feel to it when held. Electrics are controlled by Takamine’s own preamp system that provides a three-band EQ and volume control with an EQ bypass, notch filter, and mid contour switch thus offering a lot of tonal options. It also includes a built-in tuner which is quite an important extra with a 12-string guitar considering how many strings can go out of tune. Comfortable to play, the slim rosewood fingerboard gives a nice feel and the headstock completed with gold die-cast tuners also adds to the classy look. The cutaway allows access to the high frets. The action is quite low which adds to its playability and there is no fret buzz. A quality instrument and well worth considering. There is no gig bag or case. Jumbo style gives a huge sound. Well made and pleasing to the eye. Epiphone has produced a very competitively priced 12-string in their DR-212 model. 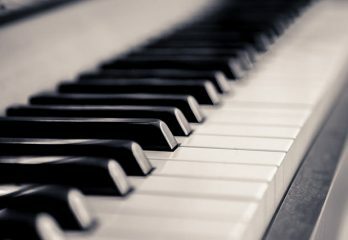 As you would expect from a manufacturer of good instruments they have used the finest materials to enhance its quality. A mahogany body and sides and spruce top are fine woods to use to generate a warm lush sounding instrument. The 25.5-inch neck is also mahogany and the tuners are chromed. there is no cutaway on this model. Epiphone themselves announce that it might be suitable as a ‘first 12-string’ but that gives the indication that maybe the quality is not there. We would disagree with that. 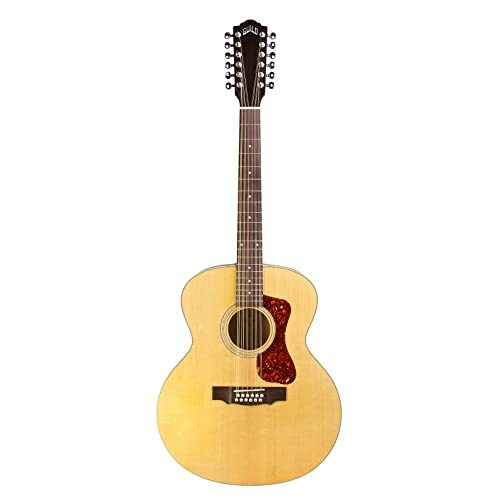 This is a guitar that would suit an experienced player and whilst it would be suitable as a fist 12-string, the instrument itself is good enough to be placed amongst the best available at a reasonable price. The sound itself is bright but also very full. The bottom end maybe not be as prominent as on other far more expensive guitars, but overall the sound is warm and inviting. It is though, purely acoustic, and with no ability to plug it in, it is a little limited in its usage. It is easy to play with a comfortable neck size and is well balanced, though being a 12-string it does tend to be a little head heavy. The action sits quite nicely and might be a little low for some people’s liking, but adjustments are easily accomplished. It is not designed to compete with the expensive stuff. 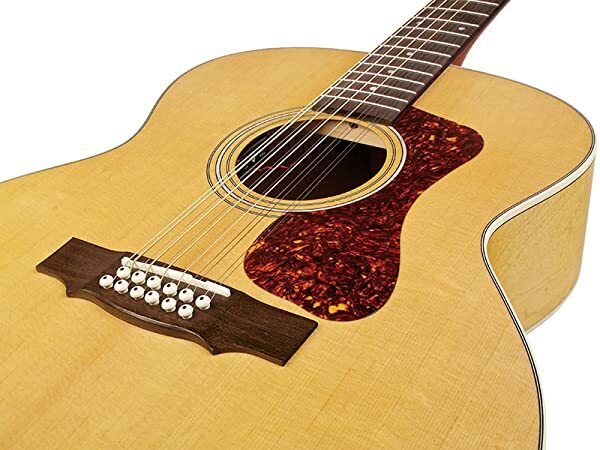 It is a competitively priced 12-string that does its job and actually does it very well. For the price paid it is a good option to consider remembering it is purely acoustic. Well constructed with good materials. No electrics might limit its usage potential. 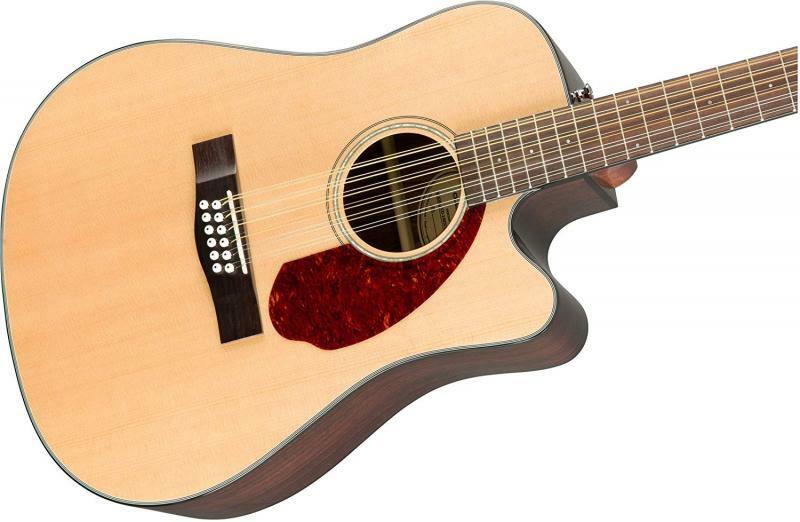 The Fender contribution to the 12-string acoustic-electric marketplace is the CD-140SCE-12. It is a single cutaway in a traditional Dreadnought style. More traditionality acoustics come with the spruce top but with this guitar, the body, sides and the neck are all made from rosewood, which will give it a slightly different sound. It has a standard slimline rosewood neck with a rolled fingerboard making it easy and comfortable to play. It comes with a tortoiseshell pickguard. It’s a big sounding instrument but is also quite mellow depending on how hard you play it. What it will give you is a great sound with plenty of warmth in the low end and bright tones at the top. The range of sounds it naturally produces lends itself to a variety of styles. This guitar comes with Fishman Presys pickup with a built-in preamp. It also carries an onboard tuner, a system that works well on other acoustic-electric Fenders. Tone controls sit on the top of the body edge and a set of die-cast tuners complete the hardware. This guitar comes with a bundle supplied by Fender. It includes a quality hard case, cable, tuner, a strap, some strings, and picks. 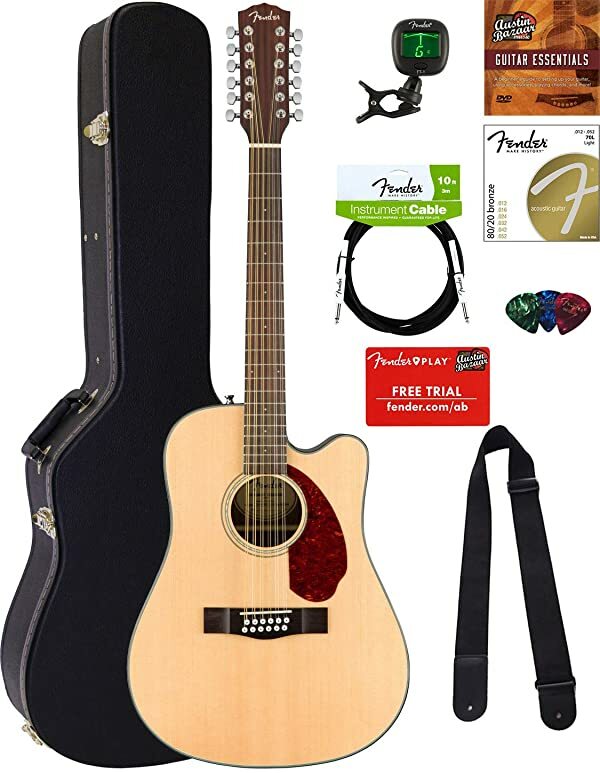 When all is considered, given the cost of this guitar and the bundle included it is fantastic value for money. Fender has with this instrument, given us a guitar that might not be up there with the very best of them, but has a good sound, is well made, easy to play and has quality electrics. Add on the bundle and it makes it a very good package. Good quality extras included in the price. Nice sound with good electrics. Will be considered a little basic by those wanting the best they can get. From Yamaha’s best selling FG range comes the 820 12 string. Yamaha never fails to produce quality guitars and this one is no exception. Well made and constructed using a solid spruce top and mahogany back and sides, it gives off a beautifully crafted tone that is warm and rounded. The bottom end is not overdone and won’t boom at you and the top end crystal clear and very bright. The rosewood fingerboard with its matching binding makes the guitar easy to play. This is an acoustic only version, with no cutaway, but in the right environment will still produce a quality performance. The natural sound is loud and punchy and manages the mid-range frequencies well. 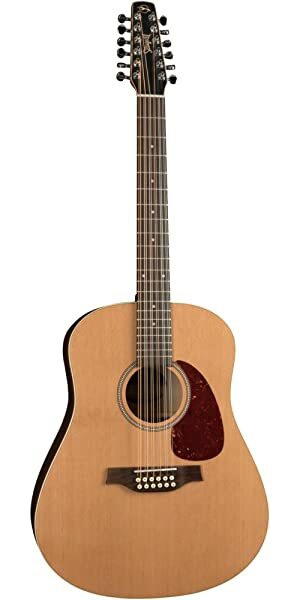 It is also a beautiful looking instrument with its spruce top offset with the pickguard which adds a touch of reserved style to a classy guitar. Given the qualities this guitar demonstrates, the playability, a very good sound and the quality of its manufacture and finish, it is hard to describe it as a ‘budget’ guitar. The price tag though is at the bottom end of the range for quality 12-string guitars so it could be described as such. Don’t let that description fool you. It might be cheaper than most of its counterparts but this is a quality guitar, manufactured by a leading guitar maker. It might be considered an excellent first 12-string but its performance goes way beyond that and will suit experienced players as well as those moving into the 12-string world for the first time. Well built and good looking guitar. Very good tones and easy to play. No cutaway limits fretboard reach. As someone once said, “…and now for something completely different”. This guitar is just a bit of a change from the normal 12-strings you will see. There are some similarities though. It has a largely mahogany construction and a rosewood fingerboard. No spruce top on this instrument, that is also mahogany, the Grover tuners in chrome and it has a bolt-on neck. There most of the similarities come to an end. It is not built in either a Dreadnought or Jumbo size and style, this looks more like a rock guitar. It has an arched top with a semi-hollow body which creates a lot of natural echo generating a rather unique sound. It’s a sound very reminiscent of the Byrds in the 1960s which some are going to appreciate. Of course, Roger used a Rickenbacker for the great sounds he produced, but that jangly sound has been faithfully reproduced with this instrument. But then it is supplied with dual humbuckers, and that is an interesting concept for a 12-string. Having those pickups, it has been fitted with a 3-way pickup selection to give you control over the sound and volume and tone controls. It could be said that the sound is quite unique. You are going to love it, or not. The guitar is nicely finished with its cherry sunburst finish and deep cutaways. It has quite a wide neck but is surprisingly easy to play and has a minimum of fret buzz. We feel though that it might suffer from a little bit of an identity crisis, not falling precisely into either a rock guitar or traditional 12-string camp. But maybe that is the beauty of it as it ignores stereotypes and takes a little from both. 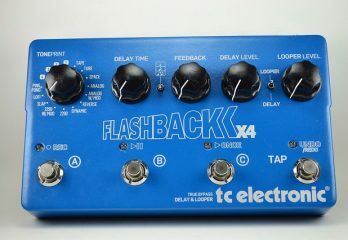 It’s not cheap but definitely worth consideration for guitarists who think and maybe play outside the box. A 12-string with a unique sound. Humbuckers give an added variety of tones. Good looking guitar with quality fittings. Maybe not a guitar for the 12-string purist. Guild, are of course a well-known guitar manufacturer, with an illustrious history going back over sixty years. They tend to stick very much to traditional ideas with their guitars and if it is traditionalism you are looking for in sound and design, this Guild fits the bill. It is Jumbo size with no cutaway with a solid Sitka spruce top and is built with maple sides and back. The neck is ‘c’ shaped and quite thin and affords an easy to play feel. Guild does make some expensive guitars, but this instrument is one of their mid-range acoustics. That does not mean they have overlooked producing quality and this guitar is very well made from fine materials. The bridge is rosewood, and they have used bone for the nut and saddle as against the now often used synthetic products. Tuning is via die-cast machine heads that are positive and precise. Electrically Guild has gone for their AP-1 pre-amp with a Fishman Piezo pickup which between them deliver a warm and big ‘jumbo-sized’ sound. The bottom end is not so prominent when played unplugged, but the top end rings out beautifully. When amplified a little bottom end can be applied which rounds the tones out perfectly. 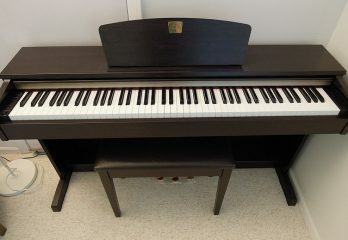 This is a quality instrument and is available at a very affordable price. 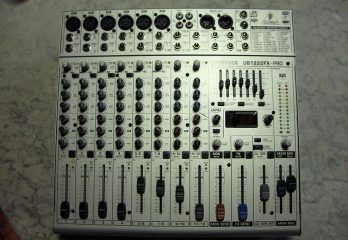 It is strictly ‘old school’ in its design and sound, but that is what it makes it so attractive to many players. Its appearance is beautiful and again very traditional, giving off that feeling of reliability. Overall, this guitar is a very good option. Well made and with a very attractive finish. Traditional Guild sound and structure. Electrical controls a little difficult to operate. The Seagull S12 is a dreadnought style acoustic with no cutaway making it a very traditional 12-string build. What is not traditional however is the choice of the woods used. The neck is maple, well known of course, but not so much on acoustic guitars. It has its cedar top, but the body is Wild Cherry. In fact, it’s three laminated layers of Wild Cherry. This combination of woods not only produces a beautiful looking guitar but also a great sounding one. We are often surprised, despite knowing, the difference a variety of wood can make to the sound of a guitar. This instrument beautifully proves the point. It sounds quite a bit different from its mahogany body competitors. The sound is warm and rich and the resonance quite outstanding. This is a quality instrument, well made with a beautiful sound. The design of the neck is such that the headstock allows a ‘straight string pull,’ which puts less stress on certain parts of the guitar but is also a great advantage when tuning. The neck is fitted with a double action truss rod. The advantage of this is that it allows a neck back or up bow relief despite the string tension. The playing action is easy with its maple fingerboard and despite the width of the neck which is not inhibitive. Let us be quite clear about this guitar. It is a quality instrument, made from fine materials and produces a great sound. The price tag is not at the bottom end but is far less than other brands that produce the same quality. A class act in every way; it comes with a gig bag. Well manufactured from quality materials. No cutaway might be an issue for some. Gretsch, another guitar manufacturer with a history of producing quality. Some of the biggest names, especially in Country music, have used Gretsch guitars. Some still do. They know what they are doing. 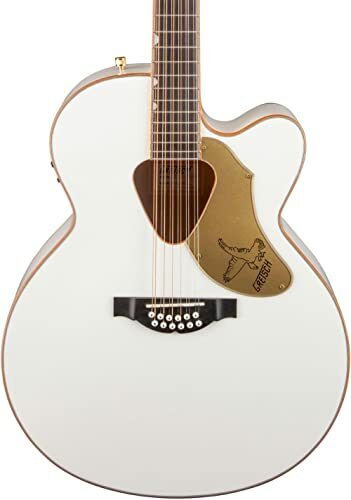 The white Rancher Falcon 12-string is a jumbo style guitar that is built for a certain marketplace and its design, and the look of it means it fits right in. It certainly has been made to catch your attention with its laminated body and sides and spruce top. It is finished in a high white gloss with a gold binding on the headstock, fingerboard, and soundhole. The single cutaway allows access right up to the fingerboard and its triangular soundhole is an interesting feature. It is fitted with a Sonicore pickup by Fishman and an Isys+ preamp. These provide a powerful amplified sound that will enhance performance levels. The controls are well defined with an onboard tuner, tone and phase controls and of course a volume. There is also a battery life indicator for the 9v it requires. The controls are set neatly and conveniently on the top of the body. The sound is nice and very bright but also surprisingly quiet for a jumbo where you normally get a very full sound. 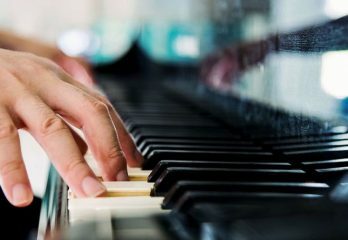 The tone though is warm, and it is an easy instrument to play. Well made from quality materials. Some may feel it a little audacious visually. This Oscar Schmidt might be considered an introduction to the 12-string guitar and the price of this instrument reflects that. This is no bad thing. Some players are unsure if they want to buy their own 12-string so this is an easy and cheap introduction to the instrument. They have probably played friends guitars or tried a few in shops, but buying and owning one is a different thing, and maybe it’s not a good idea to spend too much on the first one. The Oscar Schmidt is a dreadnought style guitar with a cutaway to allow easy access to the complete fretboard. It has a spruce top and mahogany sides and back. The neck is also made of mahogany with a rosewood fingerboard and a rosewood bridge and it has some attractive wood marquetry as decoration. There is an adjustable truss rod and chrome die-cast tuning hardware. It is therefore well constructed from good materials. The electrics feature a preamp, an active EQ and a built-in tuner. Although this sits at the bottom end of the price range for a good 12-string, that should not be a reason to think it will be of poor quality. It isn’t, it is well made, comfortable to play and attractive to the eye. The sound is good and for the price of the guitar, we would say, very good. It has a warm sound and at the top end is not too bright. 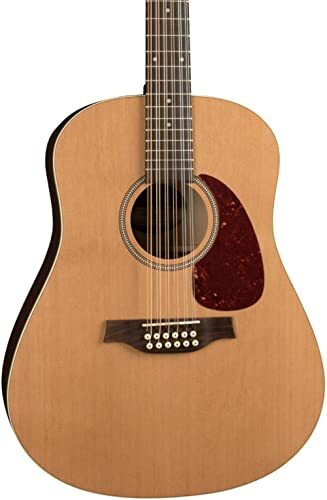 Everything about this guitar is impressive and you will find it difficult to find anything in this price range that plays so well and sounds so good. A very nice balanced sound. A very cost effective buy. The electrics are rather basic. We have reviewed ten guitars, and now it’s time to pick one — no easy task considering the quality of the instruments and some of the brand names. First things first. What Do We Want From Our New 12-String Guitar? Obviously, we want a great sound. Rich at the bottom end and bright at the top but also with a nice solid sounding middle. We want it to be comfortable to hold, sitting or standing. This is subjective of course and what one player thinks is comfortable, might feel awkward to another. We’d like it to be very traditional in its build and look. Nothing flashy or over-creative. A guitar that looks and plays like real quality. Staying in tune is always a consideration with 12-string guitars so the straighter the neck, the better. We have reviewed some great guitars. Some of the big names are there of course as you would expect. Manufacturers who only produce quality and their instruments must be considered on that basis. There are one or two varieties for those that are looking for something a little different. They add options to the mix on offer. Well, firstly quality of sound. This is a 12-string guitar and needs to sound big and warm. A deep resonance coupled with a bright top end. Secondly, it needs to be well made from quality materials, materials that will enhance the tonal sound. Thirdly, the tuning must be precise as this is a big issue with a 12-string. Finally, the electrics. 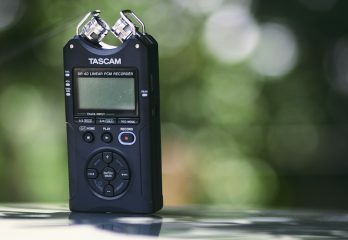 Will the onboard kit give it the opportunity to amplify the sound it makes acoustically with accuracy. If it is going to be used live this is important. Not much good it sounding great at home but then that sound cannot be reproduced through an amp or PA system. There are some real quality guitars in this review and it just depends on personal preferences. Jumbo, Dreadnought or another style maybe? That is probably the place to start to make your choice. Making the choice is half the fun, the other half will be playing it. What Would We Choose As The Best 12-String Guitar? As we said before, it’s a difficult choice as to what constitutes the best 12-string. However, having had a close look at these instruments for us there is a clear winner. 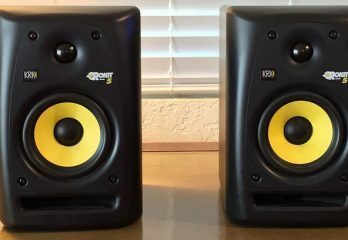 Not the cheapest by any means but pure quality in its construction and in the sound it produces. A wonderful guitar in every sense, it has everything you would want and a little bit more.